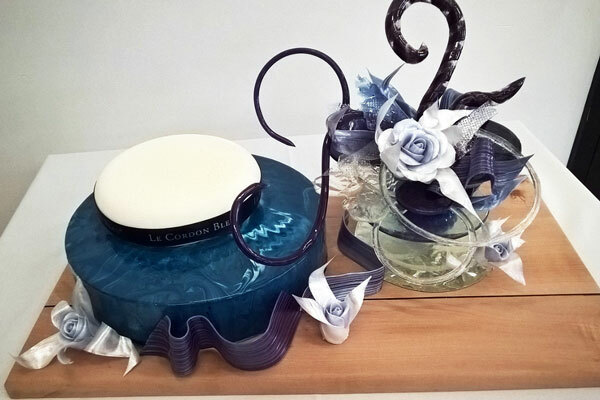 Le Cordon Bleu Melbourne celebrates 2nd birthday on Bastille Day! celebrates 2nd birthday on Bastille Day! Le Cordon Bleu Melbourne celebrated its 2nd birthday on Bastille Day with multi-award winning Pastry Chef Gaël Étrillard hosting a sensational French pâtisserie masterclass, followed by a cocktail party attended by 50 guests. 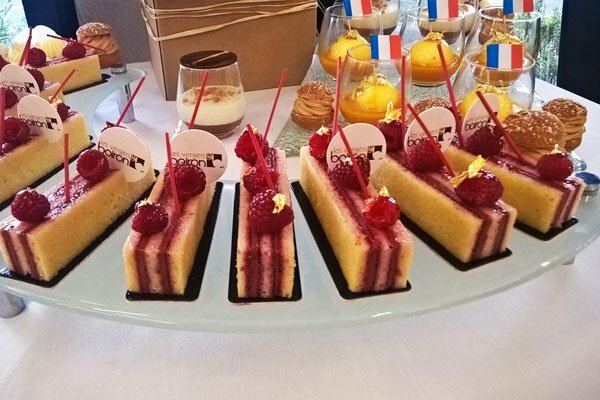 On Bastille Day, 14 July 2017, industry partners, education agents, media representatives, students, alumni, chefs and academics gathered to honour the success of Le Cordon Bleu Melbourne’s culinary programmes. In two years (since the programme’s inception) enrolments have grown to 400 students anticipated on-campus by December 2018. Multi-award winning Pastry Chef Gaël Étrillard delighted guests with a two and a half hour French pâtisserie masterclass. Chef Gaël has worked in Michelin Star restaurants in France and Singapore and is currently Area Pastry Chef for Les Verges Boiron group. 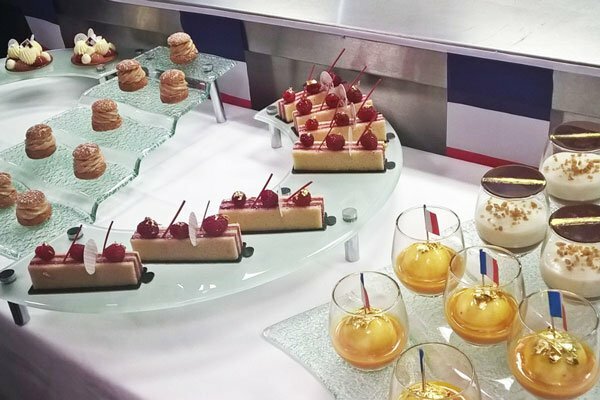 Assisted by two Le Cordon Bleu students, Chef Gaël demonstrated five sensational dishes: Tropical fruits floating island; Yuzu and praline choux; Strawberry and verbena tartlet; Raspberry, earl grey and milk chocolate opera; and Green apple and chestnut composition. 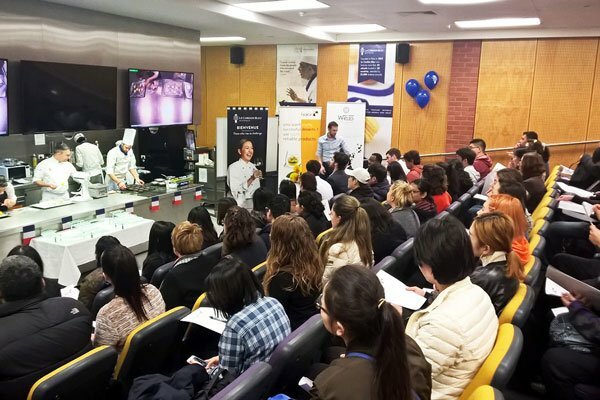 After the masterclass, visitors enjoyed a tour of the impressive Melbourne campus and its state-of-the-art kitchens. The cocktail celebration in Cilantro restaurant saw guests networking and enjoying French champagne, oysters, artisan bread and pastry delights. Le Cordon Bleu chefs created a delicious selection of canapés, and delicacies from Chef Gaël’s masterclass were also served. The birthday cake was decorated with intricate sugar work created by Karin Rechsteiner (Head Chef Pâtisserie, Le Cordon Bleu). 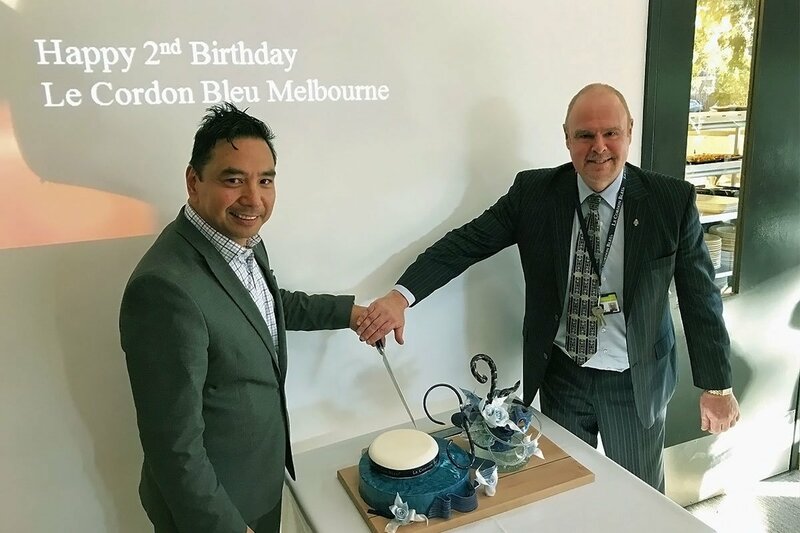 Formalities closed with Philip Javier (Dean of Education, Service Skills & Environment, Holmesglen TAFE) and Ken de Mallindine (Regional Manager, Le Cordon Bleu) cutting the birthday cake. Le Cordon Bleu is proud to acknowledge the continuing success and expansion of its Melbourne culinary programmes and congratulates staff, academics and students for their outstanding commitment to excellence.